Type 2 Diabetes (T2D) is becoming more and more common among the younger generation. Worldwide, there are about 172 million people with T2D. India with a current number of 31 million will soon become the world leader in T2D by year 2025, touching nearly 60 million people. T2D increases the chances of early development of heart disease, stroke, blindness, renal failure, and peripheral vascular disease too. Moreover, along with the burden of disease, the burden of expenses also increases for the families of diabetics. Surely, the only possible solution at this moment is to prevent diabetes. An international meet on Diabetes in Asia held in Colombo a few years ago, organized by the Diabetes Association of Sri Lanka, discussed 4 important issues relating to T2D genetics, fetal origins, lifestyle, and stress. While progress is being made in understanding the genetic tendency towards diabetes and fetal origins are also being studied in great detail, nothing has been done to improve lifestyles and reduce stress. An undernourished fetus has an increased chance of diabetes and cardiovascular disease. In India, increased body fat at a young age may be one of the reasons for T2D. Therefore, prevention should start early in life. Changing lifestyles, unnecessary weight gain, chronic stress, and urbanization are factors that contribute to the increase in the incidence of diabetes. And, since genetics and fetal nutrition are factors that cannot be changed in the near future, lifestyle intervention becomes even more important. 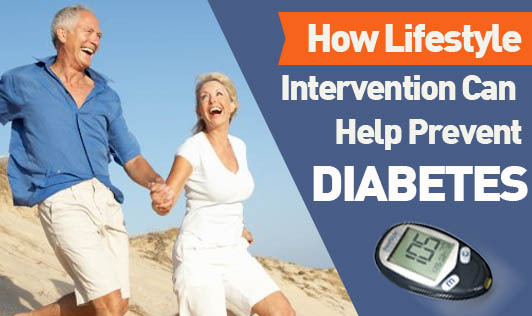 A sensible meal plan, daily physical activity, and controlled stress can work towards preventing diabetes. Those with a family history of diabetes, abdominal obesity and, or excess weight should get their blood tested for glucose levels on a regular basis. It is important to act before it is too late because there is no cure yet for diabetes! A healthy, stress-free lifestyle coupled with good eating habits and a strong fitness regime goes a long way in preventing type 2 diabetes.